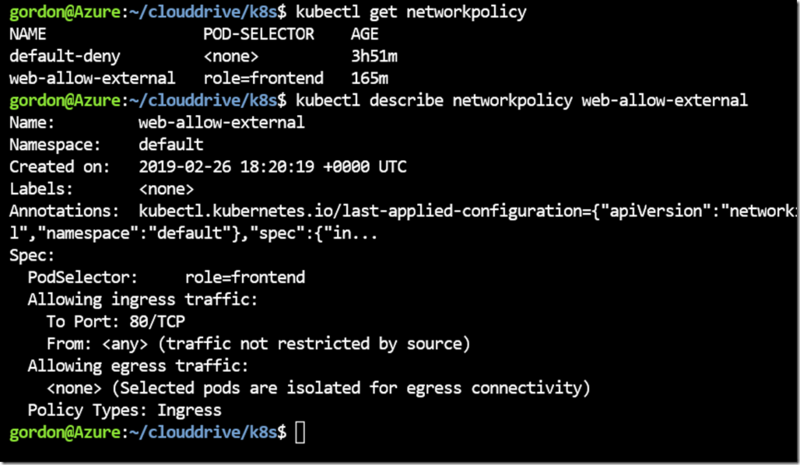 In this post i’m looking at the Network Policies in AKS which uses Calico to restrict pod network communication in a number of different ways. 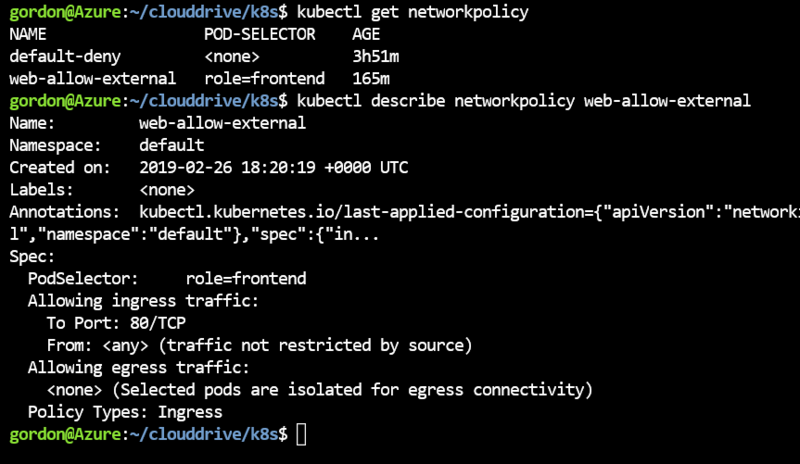 The first point to make about Network Policies in AKS is that they’re currently in preview. New features to AKS will always hit preview first, for a couple of months before going GA. 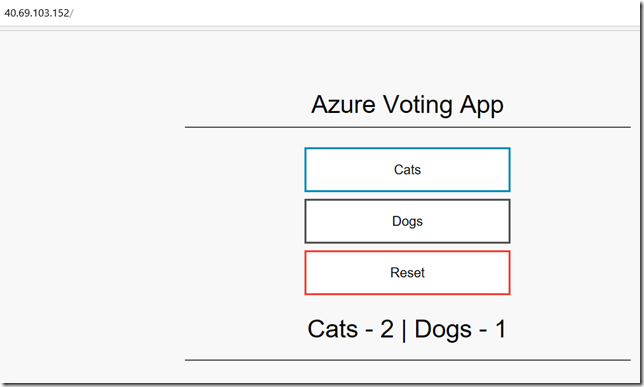 This is a model that most people familiar with Azure will be happy with. 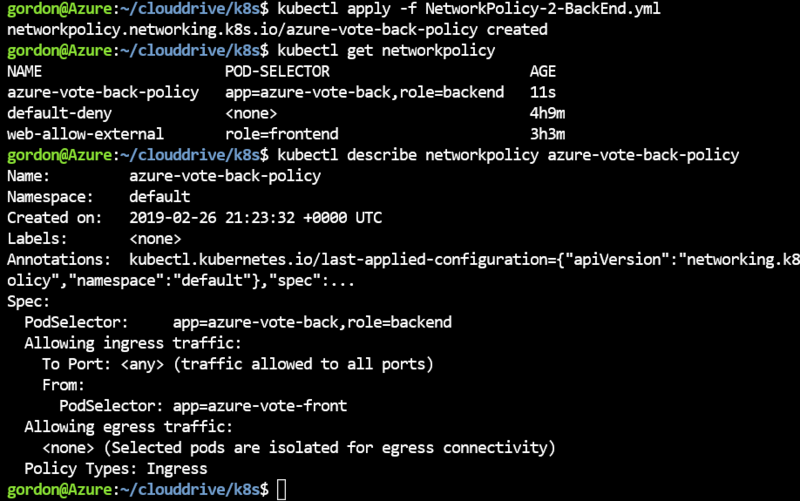 The official documentation on Network Policies is here; https://docs.microsoft.com/en-us/azure/aks/use-network-policies – Where you can check the current status of the feature and read the Preview caveat in more detail. After we have a external ip allocated, lets test it works. It’s important to first make sure we’re operating with least privilege, so lets start by denying all traffic in a network policy and then checking our app again to make sure that it’s broken. 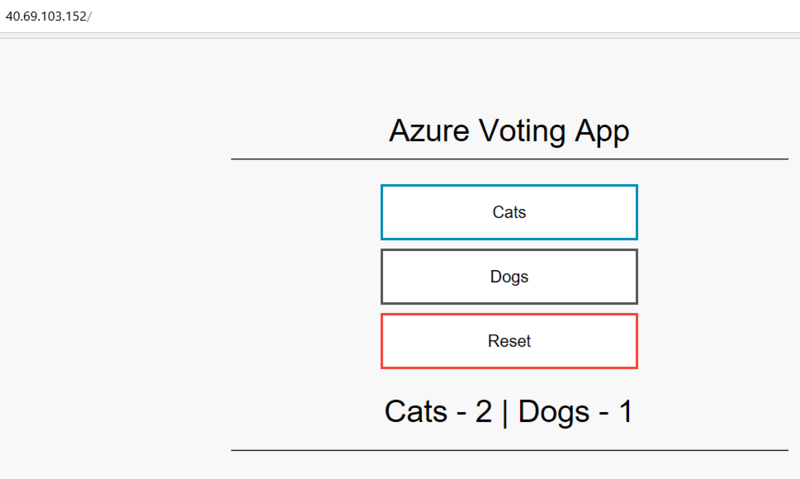 This is going to save me time for every subsequent web app I want to add. 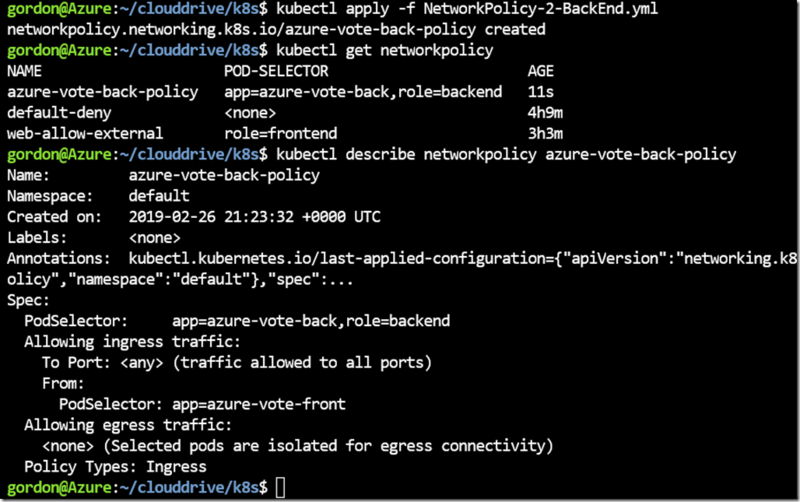 For this network policy, i’m going to limit it to just the specific Azure Frontend pod.